Resources include patient agreement and consent forms to guide opioid prescribing and the identification and care of patients with substance use disorder. 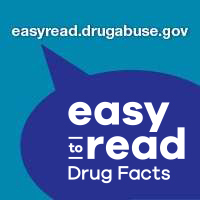 Aberrant Drug Taking Behaviors Information Sheet (PDF, 98KB) - Resource listing behaviors more and less likely to indicate prescription medication abuse or addiction. Commonly Used Long-acting Opioids Chart (PDF, 365KB) - Chart listing strengths, dosing information, and brand names of commonly used opioid analgesics. Considerations for Prescribing Opioids (PDF, 152KB) - Presentation describing informed consent and monitoring considerations following initiation of prescription opioid therapy. How to Change Routes of Administration of Opioids (PDF, 193KB) - Dosing guidelines for use when changing routes of administration of commonly used opioid analgesics. Recognizing Opioid Abuse (PDF, 98KB) - Table listing common symptoms of prescription opioid abuse and/or addiction. Knowing When to Say When: Transitioning Patients from Opioid Therapy: A 2-hour course that covers how to recognize aberrant drug-taking behaviors, strategies for monitoring patients, using a risk-benefit framework to help determine options for discontinuation of opioids, and strategies for transition patients off of opioids and how to treat opioid withdrawal symptoms, among other related content. Sample Informed Consent Form (PDF, 123KB) - Sample form for patient reference and consideration prior to initiation of opioid therapy for pain. Sample Patient Agreement Forms (PDF, 172KB) - Example forms detailing terms and conditions of long-term opioid therapy for pain.